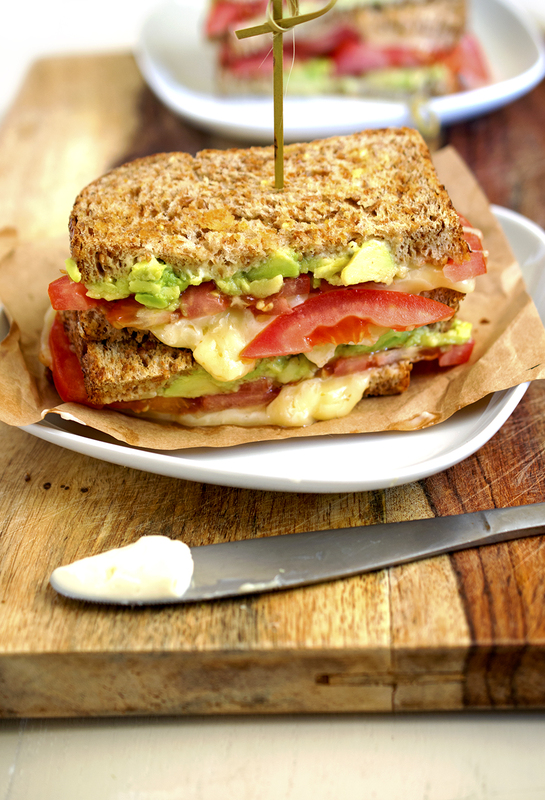 Creamy California style grilled cheese made with mashed avocado, tomato and pepper jack cheese. 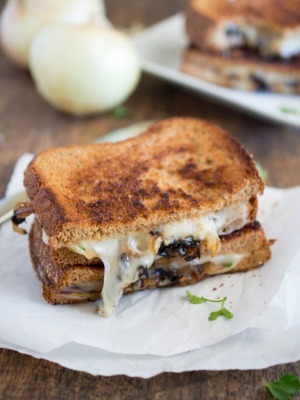 Grilled Cheese is the ultimate comfort food. Crispy and toasted on the outside with a warm gooey inside. This grilled cheese is a cross between a sandwich and a grilled cheese. Everything you love about a California Club sandwiched between melted pepper jack cheese. Not only is this California Grilled Cheese delicious it is ridiculously easy to make. All of the ingredients come together in minutes making this the perfect lunch or weeknight meal. 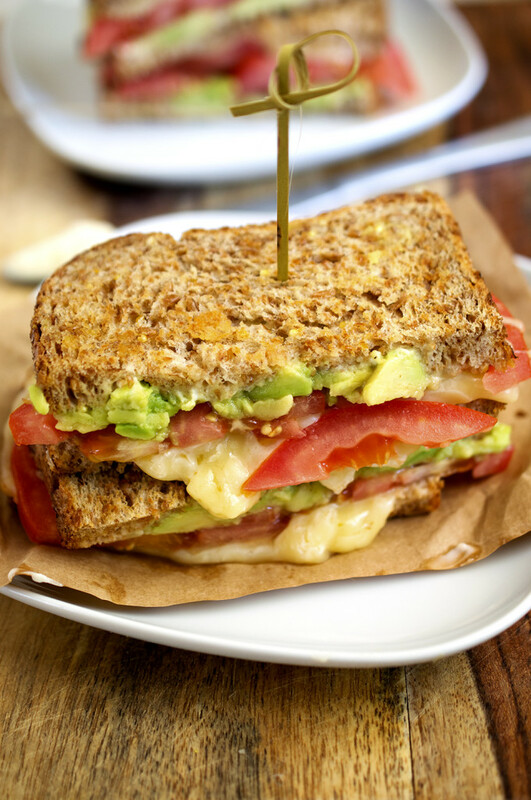 The trick to adding avocado to the grilled cheese is mashing it beforehand. Slices of avocado just slide off the sandwich. I use my hands to mash the avocado but a fork works just as well. Don’t forget to season the avocado with salt and pepper. I planned to make this recipe with regular multi-grain bread. However when I was wandering around the bread isle at my grocery store I discovered a loaf of bread labeled “California Style.” I was intrigued. This bread is delicious and pack 5 grams of protein in one serving and is made with organic sprouted wheat. It went perfectly as my base for our California Grilled Cheese. If you cannot find California Style bread use a whole wheat or multigrain bread. Day old bread works even better! This is the perfect power lunch to keep you fueled for the day. 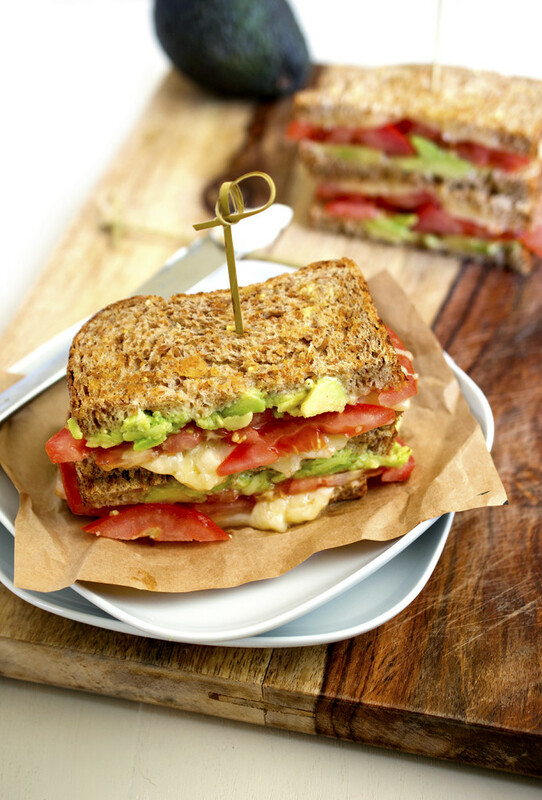 The fiber and protein from the avocado and the bread will keep you full until your next meal. I also added a surprise to our grilled cheese, mayonnaise! 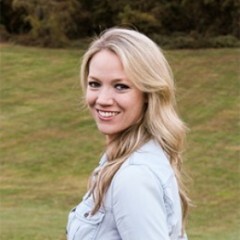 You may be thinking “Mayonnaise inside of a grilled cheese”? Yes! It makes the sandwich even creamier. I also like to use mayonnaise on the outsides of my bread to toast if I do not have any butter on hand. It creates a nice crust like butter and does not burn as easily. Use grated cheese instead of sliced. For my grilled cheese I sliced the pepper jack ahead of time for an even layer of cheese throughout. Cook the grilled cheese low and slow. Cooking at a lower temperature takes longer but you will end up with a crispier outside and the cheese fully melted on the inside. You can even throw the grilled cheese in the oven to melt the cheese. Like this recipe? 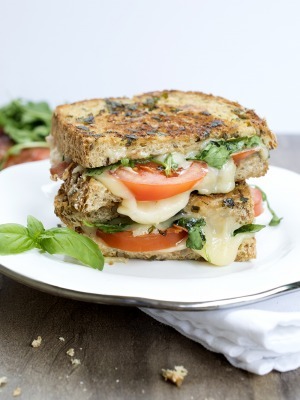 Give my Italian BLT Grilled Cheese a try. A creamy twist on grilled cheese made with prosciutto, arugula, tomato and slathered with a homemade herb butter. Season avocado with salt and pepper to taste. Set aside. Butter each slice of bread and place butter side down in a large skillet. Spread mayonnaise on each unbuttered side of bread. This will make the grilled cheese nice and creamy. 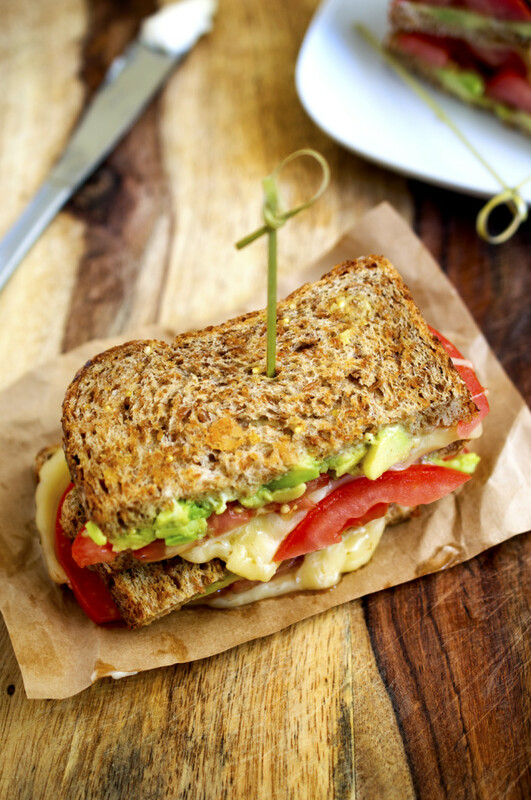 Add the avocado, tomato and pepper jack cheese on two slices of bread. Fold the sandwiches together and cook on medium heat for 2-3 minutes on each side. If they are getting brown and the cheese has not melted turn the heat down or cover the pan.